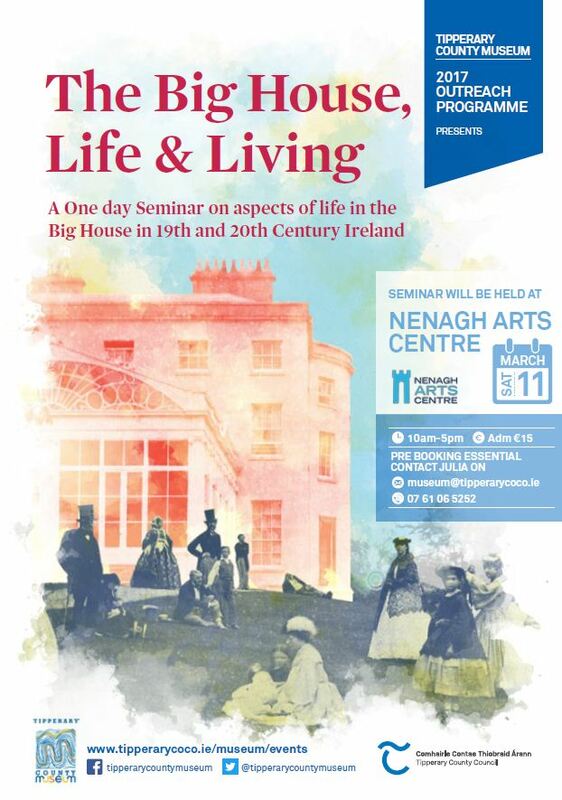 Tipperary County Museum will host a 1 day seminar on the Big House in Nenagh Arts Centre on Saturday 11th March. 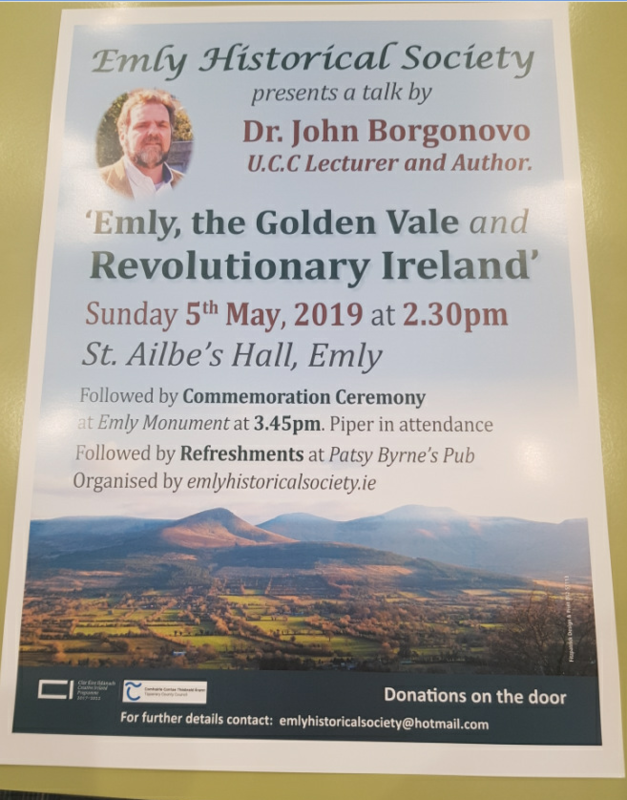 Admission is €15 and includes tea/coffee. There will be four speakers on the day each discussing aspects of life in the big houses of 19th/20th Century. 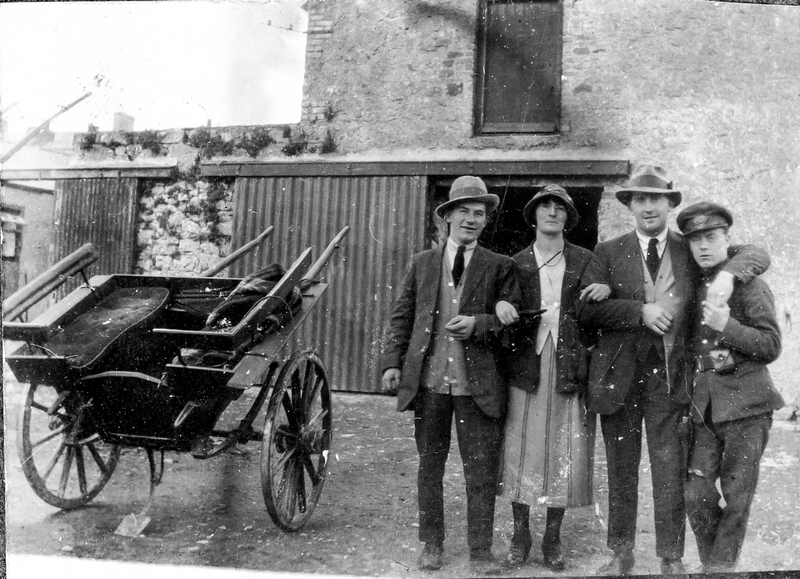 Some will be general and others more North Tipperary specific. Booking is essential – details on the attached flyer or contact me on this email if you have any queries or would like to reserve a place.